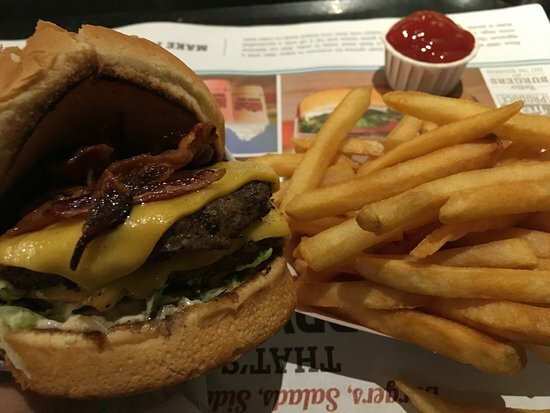 There aren't enough food, service, value or atmosphere ratings for The Habit Burger Grill, California yet. Be one of the first to write a review! A great burger and some different tastes await you at Habits. Tempura green beans, sweet potato french fries and avocado's on your burger make for a good meal at a good price. For the very best hamburger in town, this is the place. The steak sandwich is also wonderful as are the grilled chicken sandwich and fried green beans. The shakes are terrific as well. My husband and I really enjoy Habit. The food is fresh and served hot. The prices are very reasonable. Love the tri-tip ceasar salad! It's a great burger joint with great salads, too. Pretty cool atmosphere, and a great outdoor patio. Casual, clean, delicious. Not much more is necessary, right? Delicious burgers and fries. Good salads. Also other good menu items and sandwiches and shakes and malts. Good selection of classic burgers, interestingly put together, with high quality ingredients. If you love burgers you will like these. Very moist, nicely done burgers. The standout was the tempura string beans, they were very tasty!. They also have sweet potato fries. My wife and mother in law love this place, but I found the burger and the tuna sandwiches tasteless. I guess it depends what you want in a burger. The service and cleanliness are very good, so it's safe to give it a try ! Love the sweet potato fries here and the burgers are really good also. I haven't had a shake but they use real ice cream so I'm sure they're delicious as well. 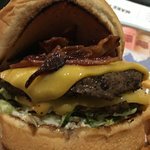 Get quick answers from The Habit Burger Grill staff and past visitors.